LOCATION.--Lat 43°50'38.5", long 73°25'54.8" referenced to North American Datum of 1983, Essex County, NY, Hydrologic Unit 04150408, on right bank 250 ft downstream from powerplant and third ("C" Mill) dam downstream of Lake George outlet, at Ticonderoga, 250 ft upstream from Trout Brook, and 0.5 mi downstream from upper ("A" Mill) dam. PERIOD OF RECORD.--August 1904 to December 1905, October 1942 to September 1979, April 2018 to current year. Prior to October 1973, published as "Lake George Outlet at Ticonderoga." REVISIONS HISTORY.--WRD NY 1971: 1970. GAGE.--Water-stage recorder and concrete control on river channel. 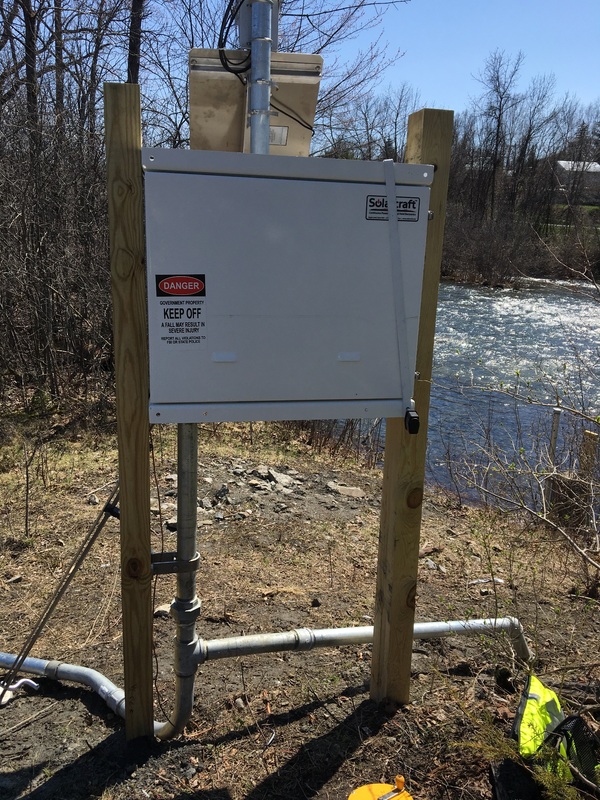 REMARKS.--Records represent total discharge from Lake George and include flow in river channel and tailrace. Flow regulated by Lake George (station 04278000). EXTREMES FOR PERIOD OF RECORD.--Maximum daily discharge, 1,370 ft³/s, Mar. 17, 1977; minimum daily discharge, 0.50 ft³/s, Sept. 9, 1976.